Breaking News About Breakthrough’s Clothing Drive! 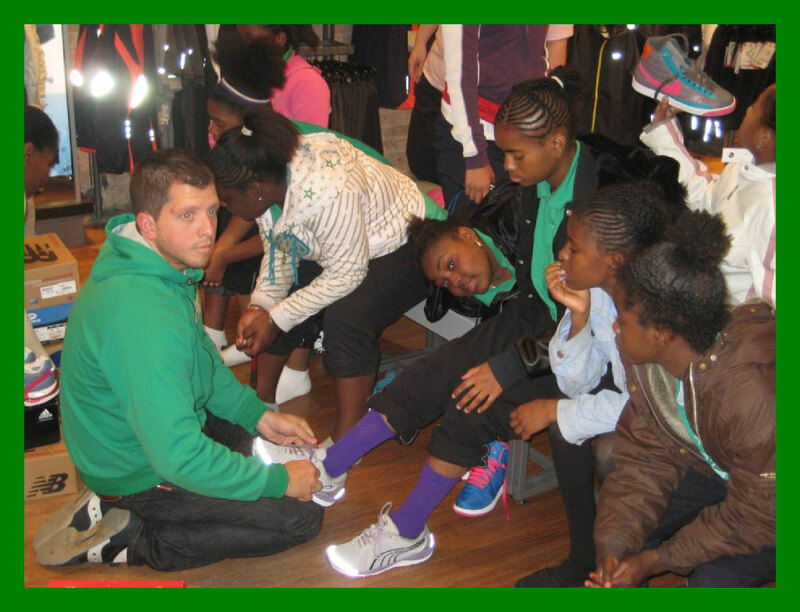 I posted today about the Breakthrough Running club serving the youth of East Garfield Park. If you don’t have time to be a coach/mentor, you can still help out. The Running Club is nearing their first race of the fall season. To help keep the excitement and motivation going for our kids we are asking all our friends to collect running clothing and gear, new or very lightly used, to give to the boys and girls running in this program. Items needed: all sizes-for both boys and girls! Boy’s, girls, men’s woman’s, running specific clothing (shorts, pants, tops, jackets) and accessories (socks, sport bras, gloves and hats) and any other gear you wish to donate that is running appropriate. Please no cotton clothing and no shoes needed. Thanks to a Breakthrough supporter, all participating kids just got brand new shoes from Fleet Feet Sports on Tuesday! Fleet Feet discounts the shoes and threw in a pair of running socks for each child- way to go Fleet Feet, they are an awesome partner to this program. How: go through your running drawer, or tote, or closet shelf and donate anything you can part with or go out and buy some running clothing at your favorite store! Collect all items and just get in touch with me and I will make arrangements to pick them up. If you would like to be part of the giveaway session with the kids you can bring them to the Joshua Center by 8am on the morning of the 11th. You can also bring the items to the Joshua Center any time between now and Sept. 11th and drop them at the door, just label the bag ‘running club donation’ or ‘running clothes’ and they will get to the appropriate people.